If you’re visiting from tumblr, patheos, or various message boards, hi! I’d like to especially thank Bogleech and Slacktivist for the shout-outs. I feel like I should talk some more about things in general, so I’ve put up a preliminary Patreon page in which I talk some more about things in general. I’m still working on the video thing and figuring out rewards. (E: Patreon deleted due to Reasons that are entirely my own). 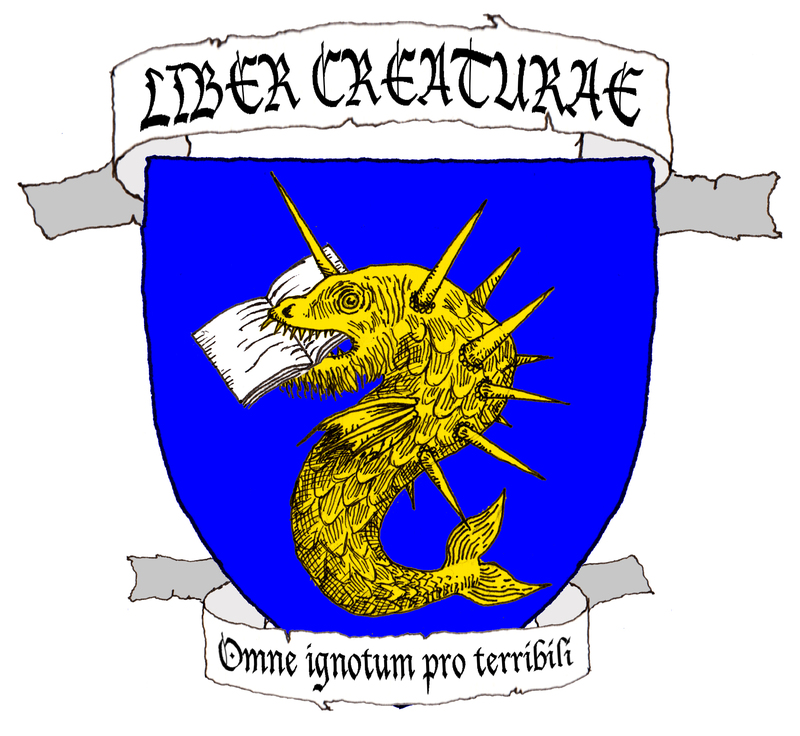 Comments were disabled to try and keep it looking academic, but A Book of Creatures also has a Facebook page and an email (linked in sidebar). If you have any questions, comments, suggestions, or just want to point out a glaring error, feel free to contact me through either of those channels. Other than that, I hope you’re enjoying it thus far, and expect to see a lot more updates in the future! In the face of a natural world of infinite wonder, humanity found it necessary to create beings of their own. These are the creatures of the imagination, invented to explain phenomena, provide cautionary tales, or simply amuse the listeners. Some are garbled accounts of animals too bizarre to comprehend, others are divine attendants, lurking mischief-makers, or even helpful servants. Our desire for order is almost as strong. Everything has to be described, classified, labeled, and pigeon-holed; there had to be a reason for everything. Thus the medieval bestiary was born, providing both moral guidance and a catalogue of what was known and unknown. Since then, our interest in catalogues of the bizarre and unusual has never truly waned. J. L. Borges, in writing his Book of Imaginary Beings, set the foundations for the modern bestiary, and others have followed suit. We will never truly be able to catalogue every last folkloric and mythical entity. It is an exercise in futility, the interest of the scholar and the artist degenerating into obsessive collection of the smallest details. While acknowledging this fact, it still doesn’t hurt to try. This work, which will be updated gradually, is the culmination of a deep interest in the unnatural world combined with years of research. I hope you enjoy it as much as I did putting it together.